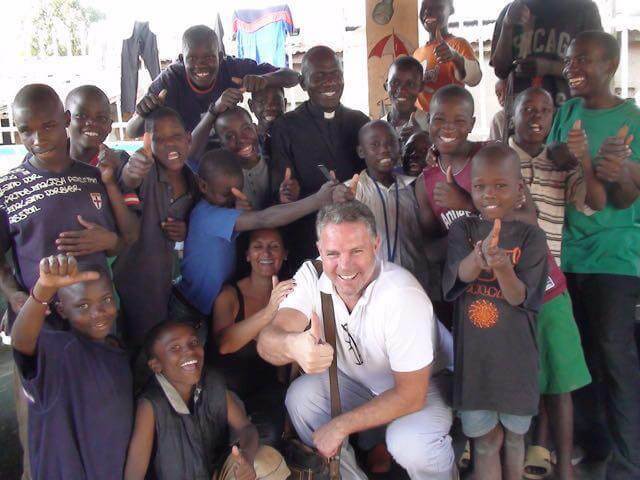 In what can only be described as fate, our involvement in Uganda began in 2008 when we offered to support a small orphanage in the slums of Kampala. A personal donation was sent each month to assist in the day-to-day running. We soon made the conscious decision to not be the ‘absent donor’ and travelled to meet these 17 boys aged 5 to 17 years, who we had been supporting. Excitement doesn’t do the feeling justice. Venturing into the slums it was clear that what we knew about the world was about to change for us. Seeing the surrounding poverty and steadily growing more anxious to meet these boys, we knew at that moment that ‘our boys’ poverty cycle ended right here and now. Here they were – all 17 of them. All living in a makeshift orphanage in the slums of Kampala. No sewerage, no power, little schooling, one set of cloths, no books – basically no nothing – except for each other. One thing was clear, where these boys for various reasons had no access to or no existing family, they were quite clearly each other’s family. A band of brothers if you will. To this day they support each other and love each other, even when separated due to education level or other reasons, they have, do and will always be there for each other. As they have grown older and trusting relationships have been built, ‘Mummy Jo’ has been privy to a few of their individual stories. With their permission they have been published…click here to read their stories.